SOLD!! 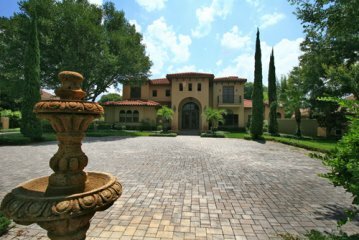 - "Arranmore" - Exquisite 1.3 acre hilltop estate in Harbor Isle! 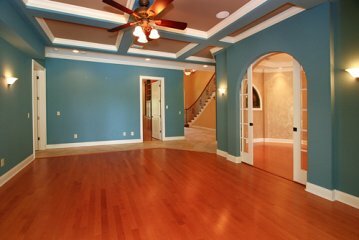 A 2-story residence encompassing 6310 S.F.,5 bedrooms,6.5 baths, separate guest apartment, library/office, family room, home theater, and game room, exercise and/or 2nd office. Imposing entrance with double iron trimmed doors, open to a 2-story high foyer that features an opulent wrought iron trimmed staircase, arched window, and magnificent chandelier. 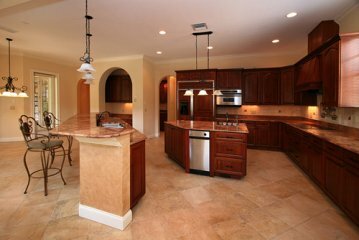 Chef's Kitchen: sleek granite counters, custom cabinetry, center island, pendulum lights, stainless appliances, 2 dishwashers, message cente, separate breakfast area. 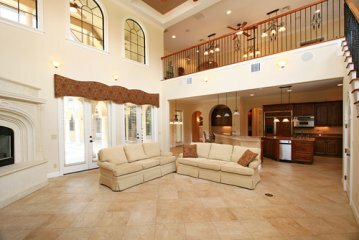 First floor: Family room has 2-story high ceiling, large windows, built-in entertainment center, stone fireplace, and surround sound. 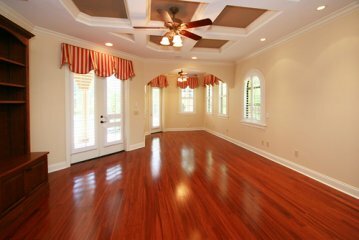 Living room features: coiffured ceiling, wood floors, double doors. 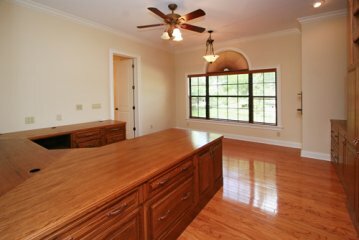 Elegant Dining Rm: wood floors, crown molding, adjacent to butler's pantry. 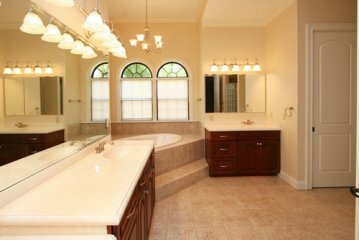 Master Suite has morning bar, fireplace, coiffured ceiling and luxurious bath w/twin vanities, glass shower, jetted tub & doors leading to pool/terrace. Office/library: wood floors, built-ins. First floor guest apartment has own entrance/garage, kitchen, living room, and bathroom. 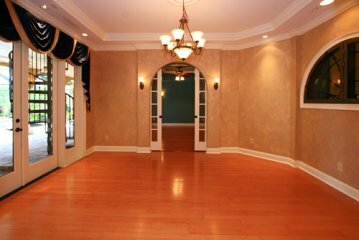 Second floor: 30 ft. game room, home theater, wet bar, 3bedrooms, 3.5 baths, exercise room/2nd office. 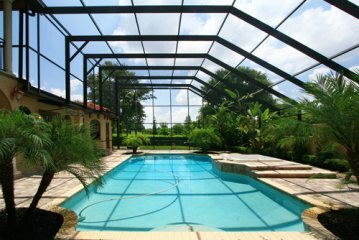 Outside: sun-drenched heated pool/spa, 2-story terrace, pool bath, summer kitchen, lush landscape. Pavered driveway, 4-car garage!! A MUST SEE! !